I am a: Lion Chaser. Graphic Designer. Aggie. Educator. Dancer. Creator. Animal advocate. Undercover nerd. Jesus lover. Hey! I'm Stephanie, and I have a story (don't we all?). I recently made a huge life change and resigned from 13 years in public education to pursue new adventures and life-long dreams. The big one is a dream I've had since I was four: to open an animal sanctuary. But I also started my own graphic design business which initially began as a response to the frustrations I felt as a bride. I wanted an invitation that felt like us, but didn't break the bank, so I tried my hand at graphic design. I found a talent I didn’t know I had and a new creative outlet. Ultimately, Quixotic Chimera was borne out of a desire to create customized designs that evoke an emotional reaction without invoking a high price tag. I seek to eradicate the negative prefix; making the impossible possible and the unrealistic real. I also have an organic side to my business, The Relaxed Abraxan. I know, I know...what is it with these names, right? The answers can all be found on my website, so please feel free to poke around! The Relaxed Abraxan is all about offering those moments of solace and peace, even if they're fleeting. From aromatherapy candles, to bath salts, sugar scrubs and an incredible peppermint balm, everything is made with organic and healing ingredients. Remember, kids...you can't pour from an empty cup. So make sure you're taking care of yourself! 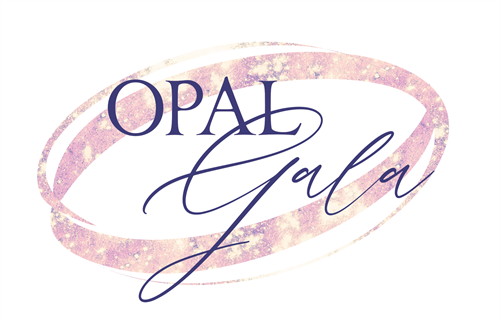 Custom logo created for the 2019 North Texas GLBT Chamber of Commerce Opal Gala. Custom logo created for a client's new business. Custom logo created for Dr. Stevie Dawn Blakely. Custom logo created for Dr. Stevie Dawn Blakely's new mastermind program. Custom logo created for Dr. Stevie Dawn Blakely and her new entrepreneurship program. Custom logo created for a new software solutions company. Secondary logo concept created for full branding suite. Custom logo created for audio engineer and dj featuring personalized aspects (rank in the marines in the "A" and musical symbol for "repeat" in the "P."
Wedding suite created for styled shoot featuring succulents and terra-cotta theme. Wedding suite created for styled shoot featuring nature theme. My personal line of awesomely punny notecards! Wedding suite created for styled shoot focused on a blue palette. Wedding suite created for styled shoot featuring a vintage vibe.